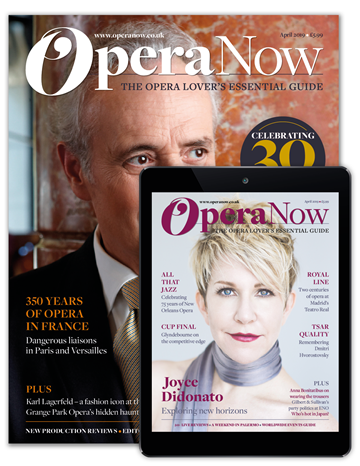 The new-look Opera Now captures the drama, colour and vitality of one of the most powerful of all the performing arts. With 12 issues published throughout the year, our elegant new design showcases the beauty and glamour of the opera world with a larger format bringing you closer to the action than ever before. In addition, our 30-year magazine archive is now available to subscribers to our ‘digital’ and ‘print & digital’ packages, allowing you to explore more than 250 issues of opera history.